Andrea Sheridan Ordin is a trailblazer for women in the legal profession and an accomplished advocate in environmental, consumer protection, antitrust and civil rights litigation. She has been recognized for hiring and promoting record numbers of women and people of color. She has served in both the private and public sectors. After graduating from UCLA School of Law, she began her career in the California Attorney General’s office, and later became the first woman Assistant District Attorney of Los Angeles, first woman U.S. Attorney for the Central District of California, first woman California Chief Assistant Attorney General and recently, the first woman Los Angeles County Counsel. As a litigation partner at Morgan Lewis, she oversaw their extensive pro bono programs in Los Angeles. Her civic contributions include serving as a Commissioner on the 1991 Christopher Commission, President of the Los Angeles Board of Police Commissioners and currently Commissioner of the Los Angeles City Ethics Commission. Justice Laurie Zelon has been a champion for pro bono legal services and access to justice throughout her career. After graduating from Harvard Law School, she began an active litigation practice and was a partner at both Hufstedler, Kaus & Ettinger and Morrison & Foerster. Appointed to the Superior Court in 2000, she has served as an associate justice for the California Court of Appeal since 2003. She is a past President and Trustee of the LA County Bar Association. In the American Bar Association, she has served as Chair of both the Standing Committee on Pro Bono and Public Service and Standing Committee on Legal Aid and Indigent Defense. She has been a long-time member and was founding chair of the California Commission on Access to Justice. In honor of her dedication to pro bono services, the Laurie Zelon Pro Bono Award is given annually by the Pro Bono Institute of Washington, D.C. .
Justice Collins has exemplified a strong commitment to justice and equality throughout her distinguished and history-making career. The granddaughter of a slave who became a minister, her family’s strong tradition of public service inspired her to pursue a career in the law. After graduating from UCLA Law School, she served in the Los Angeles District Attorney’s office where she was the first African-American woman to become Head Deputy, Assistant Bureau Director, and Assistant District Attorney. She was appointed to the United States District Court for the Central District of California in 1994 and served as Chief Judge of the Central District from 2009 through September 2012. In 2014, she was appointed by Governor Jerry Brown to the California Court of Appeal. Justice Collins’ honors are numerous and include the Outstanding Jurist Award from the Los Angeles County Bar Association, the Joan Dempsey Klein Distinguished Jurist Award from the California Women Lawyers and both the Loren Miller Lawyer of the Year and the Bernard Jefferson Justice of the Year Awards from the John M. Langston Bar Association. Justice Joan Dempsey Klein is renowned as a trailblazer for women in the law. She is the first UCLA School of Law graduate appointed to the Los Angeles judiciary. In 1955, in an era when women rarely went to law school, she was one of only three women to graduate from the new UCLA School of Law. She joined the office of the California Attorney General after graduation. Eight years later, she was appointed by Governor Pat Brown to the Los Angeles Municipal Court, where she initiated a county wide Bail by Mail program and undertook one of the first major studies on court unification. After she served on the Los Angeles Superior court, Governor Jerry Brown appointed her as the first female presiding justice to the appellate court. She has served with the distinction on the courts for more than 50 years and has published 507 opinions. When she retired from the bench at the end of 2015, she was the senior presiding justice in the State. Her leadership in the women’s legal community is legendary. She not only actively mentored and encouraged other women lawyers to seek judicial appointments but also served as the founding president of California Women Lawyers, and also the National Association of Women Judges, the leading voice for women jurists. She has traveled the world extensively in support of women in the judiciary. 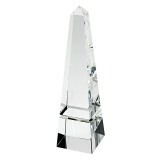 She has received numerous honors, and honors have been named to her. She remains active and looks forward to acceptance of women as judges everywhere in the world. Stephen English has long been a champion for the poor and disadvantages. An honors graduate of UCLA and Harvard Law School, he practiced law for many years as a partner at Morgan, Lewis & Bockius. Pursuant to his interest in legal services for the poor, he has chaired the boards of three of Los Angeles’ most prominent public interest law firms: the Legal Aid Foundation of Los Angeles (LAFLA), the Inter City Law Center, and Public Counsel. Wanting to do more to advance equality and social justice, he co-founded the Advancement Project with his wife, attorney Molly Munger, and colleague, attorney Connie Rice. Advancement Project is a public policy and advocacy organization rooted in the civil rights movement and devoted to expanding opportunity; its successes include training gang interventionists, expanding early education programs and helping ensure the construction of new schools in poor neighborhoods. Through his interest in upgrading our public school facilities he has helped to structure several state school bond measure and served for five years as Chair of the Citizens’ Bond Oversight Committee of the Los Angeles Unified School District. As a believer in the civic renewal and the environment, he serves on the Board of the LA River Revitalization Corporation. Steve is a long-time and highly valued member of the LA Law Library family, having served on the Library’s Branch Review Ad Hoc Committee and the Friends’ Board of Directors. Thomas V. Girardi has been called a “legal legend” for his work on behalf of consumers. His cases range from groundbreaking class action toxic tort lawsuits and the pursuit of defense contractors, pharmaceutical giants and utility companies to precedent setting personal injury cases against sport teams. A Loyola Marymount University Law School graduate, he served as an adjunct professor and funded the School’s moot court building. His honors are numerous, most recently being inducted into the National Trial Lawyers Hall of Fame, named one of California’s Top 100 Lawyers, and reappointed to the Trust Fund Board of the Library of Congress. In addition, he was the first lawyer to be appointed to the State Supreme Court’s Judicial Council, the state court’s policy making body. Howard B. Miller brings a rich diversity of academic, public and professional leadership and publishing skills to his patent, copyright and intellectual property litigation practice: Professor of Law at the University of Southern California, President of the Los Angeles Unified School District, Executive Director of the Los Angeles Daily Journal, and President of the State Bar of California. He was prescient in recognizing the role of media--when television was king--in everyday life. He was a regular on the Public Broadcasting System (PBS) program, the Advocates, that put public issues on trial with unrehearsed cross examination. A University of Chicago Law School graduate (on full tuition scholarship), he began his legal career clerking for California Justice Roger Traynor. Miller successfully argued one of the most recent important U.S. intellectual property cases, Montz v. Pilgrims Films and NBC Universal . Justice H Walter Croskey is known for opinions that are uniformly considered bright lights of fairness and sound policy. His rulings on civil rights cases are legendary, in particular his opinions recognizing the primacy of children's fundamental rights respecting their family relationships over the interests of any other parties. His decisions have often given a voice to the County's poorest citizens. In addition to his work in civil liberties, Justice Croskey has issued significant decisions for the rights and privileges of lawyers. Justice Croskey's 2011 decision in Fireman's Fund Insurance Company vs Superior Court not only clarified attorney-client and work product privileges, but also explained and expanded the protections given California lawyers. Most significantly, Justice Croskey is a kind, generous and wise mentor who is held in high regard by clerks and colleagues. 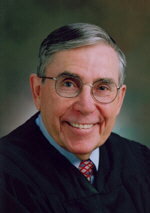 After receiving both his undergraduate and law school degrees from the University of Southern California, Justice Croskey began his legal career serving in the U.S. Navy Judge Advocate General's Corps. For the following 23 years he was in private practice until Governor George Deukmejian appointed him to the Los Angeles Superior Court in 1985 and just two years later elevated him to the Court of Appeal. During his 50 years as an active member of the legal community, he has served in a number of leadership capacities including Chair of the California Judicial Council's Advisory Committee on Trial Court Funding, the Second Appellate District Security Committee, and currently and, for the last eight years, the Judicial Council's Advisory Committee on Civil Jury Instructions (CACI). He is a member of the California Judges Association, the State-Federal Judicial Council, and the American Judicature Society. He has authored many articles in prominent legal publications, including Los Angeles Lawyer, Tort & Insurance Law Journal of the American Bar Association, and Connecticut Insurance Law Journal. He co-authors the Rutter Group's California Practice Guide, Insurance Litigation. Justice Lee Smally Edmon is known for her hard work, high energy level and collegial working manner. In just 11 years she moved up through the judicial ranks and served as Presiding Judge of one of the world’s largest trial courts. Due to unprecedented budget cuts, she was in the difficult position of significantly downsizing the court. Even in this most challenging role she brought a sense of calm, wisdom, innovation and consensus building. Debate team in college was her entry to the law. As a second year law student at University of Illinois at Urbana Champaign, she came to Los Angeles to clerk at Adams Duque & Hazeltine and became hooked on Southern California. After graduation in 1981 she joined Adams Duque & Hazeltine as an associate and 6 years later (1987) moved to Dewey Ballantine, later Dewey & LeBoeuf. Just three years later she became partner. Through her work as LACBA president in 1998 she worked closely with the courts and the idea of becoming a judge was germinated. Just two years later (2000) then Governor Gray Davis, appointed her to the Superior Court. In 2008 she ran unopposed and was elected assistant presiding judge, the first woman ever to take that position. Not only has she contributed on the bench and for the bar but also in public service having served on the Boards of the Legal Aid Foundation of Los Angeles, Alliance for Children’s Rights, the Inner City Law Center, the Constitutional Rights Foundation, the American Bar Endowment, the American Bar Association’s nonprofit affiliate, and as a Trustee of the Law Library. Hon. Richard Burdge Jr hails from Long Beach, went east to Yale for college then served our country in the Navy. He returned to UCLA for his law degree where he was Managing Editor of the UCLA Law Review and graduated Order of the Coif. A highly regarded attorney with more than 30 years of experience he has been selected a Super Lawyer by Southern California Super Lawyers every year since 2005. He started practice at Lillick McHose & Charles, where he became a partner doing business litigation. He joined Dewey Ballantine LLP in 1986 and there met his future wife, Lee. In 2000, he joined Howry LLP, litigating complex business disputes and in 2011 founded the Burdge Law Firm. Like his wife, he has a strong commitment to pro bono and community work. Active in LACBA since 1979, in July he became LACBA’s president and has also served as president of the Los Angeles Association of Business Trial Lawyers. He is a past member of the Central District’s delegation to the Ninth Circuit Judicial Conference and currently served on the Central District’s Attorney Admission Fund Board. He is also a Director of Public Counsel and the Friends of the LA Law Library and served as Co-Chair for the alumni campaign for the UCLA Law Library Renovation and Expansion. 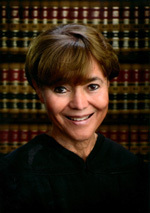 Justice Tani Gorre Cantil-Sakauye was sworn into office as Chief Justice of California on January 3, 2011. She is the first Asian-Filipina American and the second woman to serve as the state’s Chief Justice. Chief Justice Cantil-Sakauye has served for more than 20 years on California appellate and trial courts. In 1990, Governor George Deukmejian appointed her to the Sacramento Municipal Court and in 1997, Governor Pete Wilson elevated her to the Superior Court of Sacramento County. In 2005, Governor Schwarzenegger nominated her to the Court of Appeal, Third Appellate District. Chief Justice Cantil-Sakauye was also a member of the California Commission for Impartial Courts. She previously served as a member of the Judicial Council’s Domestic Violence Practice and Procedure Task Force and chaired its Best Practices Domestic Violence subcommittee. She is president of the Anthony M. Kennedy American Inn of Court, an organization dedicated to promoting civility, ethics, and professionalism in the practice of law. Since 2007, she has been a Special Master, selected by the Supreme Court to hear disciplinary proceedings before the Commission on Judicial Performance. Chief Justice Cantil-Sakauye attended C. K. McClatchy High School (1977) and Sacramento City College (1978) before receiving her BA from the University of California, Davis, graduating with honors in 1980. After taking a year off to visit her ancestral homeland, the Philippines, the Chief Justice entered the UC Davis, Martin Luther King, Jr., School of Law in 1981. After receiving her JD in 1984, she worked as a deputy district attorney for the Sacramento County District Attorney’s Office In 1988, she served on the senior staff of Governor George Deukmejian in two capacities: as deputy legal affairs secretary and as a deputy legislative secretary. Chief Justice Cantil-Sakauye is a former board member of several nonprofit organizations and has been active in numerous professional community organizations, including membership in the California Judges Association, the National Asian Pacific American Bar Association, and the Sacramento Asian Bar Association. She has received many awards, including honors from the Sacramento Domestic Violence Coordinating Council, the 2005 President’s Award from the Sacramento Asian Bar Association, the 2003 Trailblazer’s Award from the National Asian Pacific American Bar Association, the Filipina of the Year Award, and other awards from youth groups. 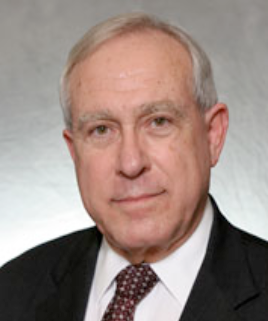 Ronald L. Olson is a partner in the Los Angeles office of Munger, Tolles & Olson LLP. He has practiced law with the firm since 1968. Ron Olson is a director of Berkshire Hathaway, Edison International, City National Corporation, The Washington Post Company, and Western Asset Trusts. He serves as a director of several non-profits, including the RAND Corporation (formerly chair), the Mayo Clinic, the California Institute of Technology, and Nuclear Threat Initiative. He was Chairman of the Board of Trustees of Claremont University Center and Graduate School from 1984 to 1994, Founding Chairman of the Board of Trustees of Southern California Public Radio from 1999 to 2004 and a director of the Council on Foreign Relations from 2002 to 2010. 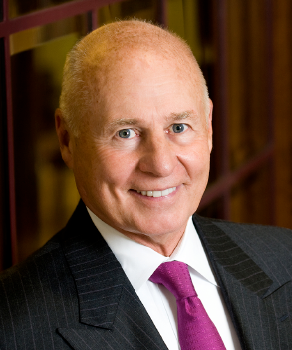 Ron Olson has been the lead partner in numerous high-profile cases. Ron Olson received his B.S. degree from Drake University in 1963, his J.D. degree from the University of Michigan in 1966, and a Diploma in Law from Oxford University, England, in 1967, at which time he was the recipient of a Ford Foundation fellowship. In 1967, Mr. Olson was an attorney for the Civil Rights Division of the Department of Justice and in 1968 clerked for Chief Judge David L. Bazelon, United States Court of Appeals for the D.C. Circuit. Mr. Olson was formerly Chairman of the Standing Committee on Federal Judiciary (1991-92), Chairman of the Litigation Section (1981-82), and Chairman of the Alternative Dispute Resolution Committee (1976-86) of the American Bar Association, and was Vice President of the Board of Governors of the State Bar of California (1986-87). He is a fellow of the American College of Trial Lawyers and the American Law Institute. Mr. Olson has received a number of awards for public service and pro bono activities. Justice Charles S. Vogel has spent the last 50 years lawyering, judging, lawyering again, judging again, and now arbitrating and mediating with JAMS. After nine years in private practice in Pomona, Chuck was appointed to the Municipal Court in 1969, then elevated to the Superior Court in 1971, where he served as Supervising Judge of the Law Departments. In 1977, he returned to private practice first at Nossaman, Krueger & Marsh, then at Sidley & Austin, and during the ensuing years served as president of the State Bar of California, the Los Angeles County Bar Association, and the Association of Business Trial Lawyers. In 1993, he returned to the bench, this time the Court of Appeal where he served for 11 years, including stints as Presiding Justice of Division Four and as Administrative Presiding Justice of the Second Appellate District. In 2004, he retired from the Court of Appeal to join JAMS, where he now serves as an arbitrator and mediator. One of his most defining characteristics is the ease with which he has been able to move between the bar and the bench with a perspective few can match. Justice Miriam A. Vogel got a slower start, graduating from law school at 35 but then she too alternated between lawyering and judging, practicing law for 10 years, judging for more than 22 years, and now practicing law again at Morrison & Foerster LLP. After a year in a prestigious clerkship with the late Justice Robert S. Thompson in Division One of the Second Appellate District, Miriam practiced civil and appellate law with Maiden, Rosenbloom, Wintroub, Vogel & Fridkis. She was appointed to the Superior Court in 1986, where she too served as Supervising Judge of the Law Departments. In 1990, she was elevated to the Court of Appeal, to the same division where she had clerked in 1975. During her 18 years on the Court of Appeal, she authored more than 2,700 opinions, including many with far-reaching effects. In 2008, she returned to private practice as Senior of Counsel with Morrison & Foerster where she is a member of the firms appellate group, writing briefs in the same crisp style in which she wrote so many memorable opinions. Chief Justice Ronald M George was recognized for his unprecedented commitment to access to justice for all the citizens of California particularly those lower income Californians. He is renowned for working tirelessly to modernize California's court system and make it more service-oriented. Throughout his career as a lawyer and on the Bench, the Chief Justice has frequently authored publications and lectured at educational programs. He has won praise for his dedication to the rule of law. Chief Justice George has promoted the availability of legal representation to those who cannot afford it. He has encouraged law firms to devote hours to pro bono activities and helped to launch the Californias legal self-help website. His tremendous ongoing efforts to improve our legal system and make its benefits available to all exemplify the ideals behind the Beacon of Justice Award. Justice Arthur Gilbert was recognized for his exemplary service and significant contributions to the quality of justice, legal scholarship and legal education. The quality of his writing earned him the title of the Court of Appeal’s “poet laureate.” For over two decades Justice Gilbert has taught justices and judges the philosophy of judging, the art of crafting opinions and the effective performance of their jobs. He has served as faculty, speaker and panelist for numerous educational and judicial conferences and received the Bernard S Jefferson Award for his many contributions to legal education. He created the Legal Philosophy Curricula for California’s Continuing Judicial Studies Program and the California Judges College. Justice Gilbert has taught Anglo American Jurisprudence to judges throughout the world, including Hungary, Russia and Serbia. Shirley and Seth Hufstedler were recognized for their lifelong commitment to justice and the distinction with which they served. Throughout their lives, they set the standard for service whether on the bench or within the bar. They served the community at the highest levels of public service and as champions for women and minorities in the legal profession. They are consistent and caring nurturers of the numerous lawyers who lives they touched. They are known as risk takers and trailblazers in all they have accomplished. Justice Earl Johnson was recognized for his distinguished record as an appellate court justice, having served the California Court of Appeal, Second District for 24 years. His more than 600 published and nearly 3000 unpublished opinions have led to numerous awards and earned praise from California’s leading scholar, the late Bernard Witkin. As a scholar and teacher, Justice Johnson co-authored 17 books and over 50 articles, including landmark books on legal services for the poor, Justice and Reform, and, Toward Equal Justice. He has been an innovative leader for over four decades in bringing justice to the poor, from heading the country’s Legal Services Program in the 1960’s to chairing the California Commission on Access to Justice in 2002. He established the National Equal Justice Library now housed at Georgetown University Law Center. Justice Johnson is respected and admired by the legal community and epitomizes all that the Award represents. He has inspired and mentored many within the legal community; he has opened the doors of justice to many more. Justice Norman L Epstein’s commitment to excellence, his generosity and collegiality are legendary. For nearly 30 years, Justice Epstein served the bench with distinction and the legal community with honor. First appointed to the Municipal Court in 1975 by Governor Reagan, he was elevated to the Superior Court in 1980 by Governor Brown, and subsequently appointed to the California Court of Appeal, Second District, by Governor George Deukmejian. In 2005 he was appointed Presiding Justice of Division Four by Governor Arnold Schwarzenegger. Justice Epstein is also highly regarded as a scholar, author, teacher, mentor and community leader. He is respected for his knowledge and application of civil and criminal law. He served as Dean of the California Judicial College and Chair of the Litigation Section of the Los Angeles County Bar Association. 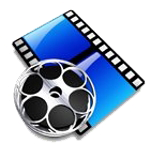 Event video available where you see this icon, click icon to view.